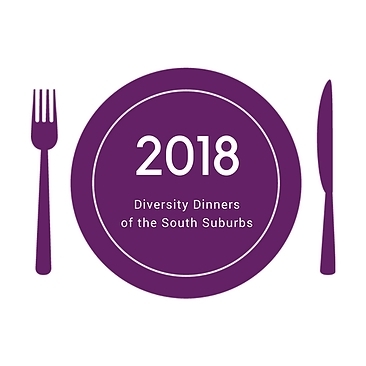 On Saturday, April 21, the South Suburban Diversity Dinners will celebrate their 21st anniversary with the theme: “The State of Diversity in the South Suburbs: Have We Progressed?” The dinner will be held at 5:30 p.m. at Rich South High School, 5000 Sauk Trail in Richton Park. This year’s featured speaker will be Troy Cicero, President of MulticultuReal Communications, whose unique presentation style ensures that his audience will be motivated to seek “real” change by engaging in “real” conversations. His dynamic message will be the cornerstone of a new interactive component to the 2018 Diversity Dinner. Following Mr. Cicero’s presentation, trained facilitators at each table will lead guests in an exercise designed to provide an environment that encourages inclusive, open communication and self-reflection of who we are in our everyday interactions. The 2018 Diversity Dinner promises to be an experience you won’t soon forget! Tickets are $15 per person and can be purchased here or send your check payable to: Diversity Dinners of the South Suburbs, P. O. Box 605, Homewood, IL 60430 by ­­­­­­­­­­­­­­­­­­­ April 6th. For more information please visit: www.DiversityDinners.com.